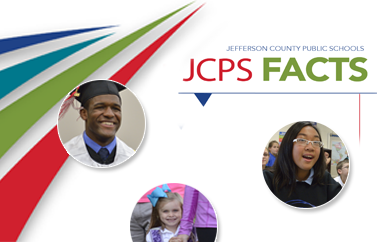 Every eighth-grade student in JCPS will attend the annual Junior Achievement Inspire interactive career fair to explore industry sectors and available careers in the community. This helps students make the connection between the classroom, their high school choice, and ultimately their future. Every ninth-grade student will complete Freshman Academy. Providing a smooth and successful transition (academically, behaviorally, and socially) from middle school to high school, Freshman Academy allows students to engage in personal and career exploration early on. By taking a college and career seminar course complete with field trips, guest speakers, and hands-on learning experiences, students are able to identify and explore career academy pathways in their school. Academies are small learning communities focused on the careers and industries that strengthen our local economy. There are two to three Academies for students to choose from at each high school. Students have the opportunity to explore careers and receive hands-on training and experience across a variety of in-demand industry sectors. Business partnerships bring relevance to the classroom by incorporating a wide range of activities, from teacher development to work-based learning experiences and mentoring. Benefiting both schools and students, experiences like job shadowing, internships, co-ops, apprenticeships, and early college opportunities all positively impact work-to-earn programs, postsecondary education, and career readiness. This dramatic shift allows students to step out of the classroom and directly into college and the workforce, more prepared than ever before. In turn, Academies close the loop for local businesses that need a pipeline of skilled, educated talent to fill in-demand positions. When Academy students graduate high school, they walk away with far more than a diploma. College credits, industry certifications, work experience, and the mastery of academic and technical skills are just a few ways an Academy education prepares students for life after senior year. These invaluable experiences, coupled with the development of success skills like communication, creativity, problem-solving, and determination, allow them not only to be more competitive in a 21st-century economy but also to be engaged members of the community. By creating a stronger pipeline of talent right here in Louisville, local businesses and industry will benefit from Academies, making our city an even greater place to live, learn, and work.